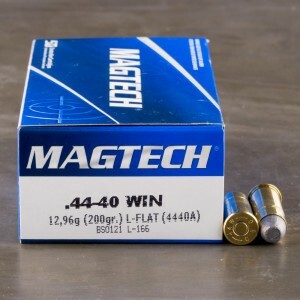 44-40 ammo, 44 Winchester, .44 WCF, or 44 Largo (no relation to 9mm Largo) are all the names for one cartridge. 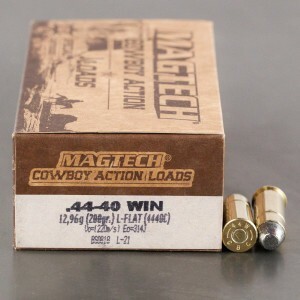 44-40 Winchester ammunition is another of the famed western cartridges. The 44-40 was the first self-contained modern cartridge the Winchester repeating arms company designed, and was made for use in the legendary Winchester Model 1873. The 44-40 Winchester was marketed brilliantly with the Model 1873 repeating rifle as the gun that won the west, and met acceptance by thousands of gun owners. 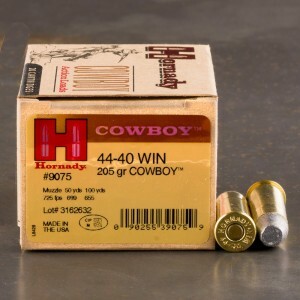 Marlin and Henry designed their own rifles for the cartridge and even Colt made a chambering of their most famous weapon the Colt Single Action Army in 44-40. This proved a popular choice since the Colt was the sidearm of choice and the 1873 was the rifle of choice, and they could both share ammunition. This was a definite advantage in logistics at the time. Quick delivery and ammo was exactly as described. 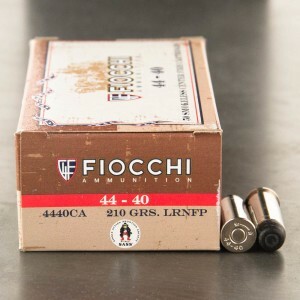 Excellent service and I will be ording more ammo soon. Great ammo. Shot 100 rounds this morning with no problems. Will buy again. Finally got a chance to shoot this ammo in a 3rd generation Colt SAA. One chamber on the cylinder is a bit tight with any round I tried loading but all fired and good accuracy from 10 to 25 yards. 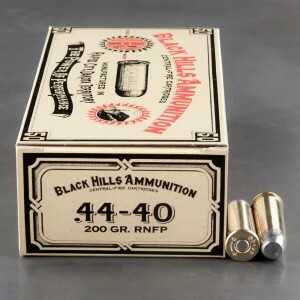 At the on sale price I paid this ammo was well worth the purchase.